Along with the empowering of Greenhouse Effect, ambient temperature is getting hotter in recent years; people need more and more beverages and the beverages market grows up day by day. In the developing countries, after economic growing, demanding to consuming products increases, beverages market thus becomes the hot target in business, many new beverage suppliers appear; under the hot competition, vendor must increase the self-manufactured ratio; and under the cost-control consideration, beverage bottles mostly are supplier’s self-manufacturing parts; and procuring of PET blow molding machine also become an important issue for beverages vendors. CHUMPOWER Phoenix PET blow molding machine series has high reliability and module design, easy for maintenance/repair. The diverse models with small producing amount fit new, first involved vendor; in addition, Phoenix PET blow molding machine has the feature of low investing cost, suitable the vendors that take machine price in priority. The procuring timing needs to be planned in advance; if the actual delivery or assembly time delays from the planned one even just a few days, it probably would incur a quarter’s loss and can catch up till next quarter. CHUMPOWER is running with time. 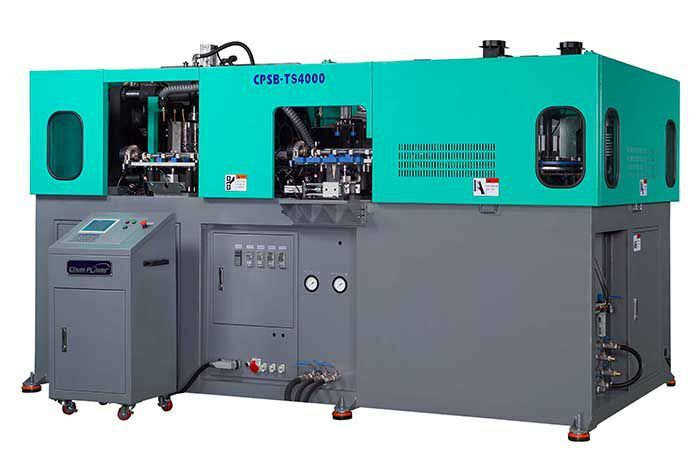 In manufacturing, we follow client’s requirement setting the flexible delivering schedule of certain amount of PET blow molding machines; and some module design enables client to make cross usage among the different blow molding machines. In this small-profit era, it is exceptionally important to make balance between price and quality; beyond the price, the stability and defect-rate of PET blow molding machine are also important factors; once machine production shutdown, the accumulated loss might be in excess of the original price discount. CHUMPOWER pays extreme attention on quality issue; we are improving and upgrading our process from installation to commissioning consistently. CHUMPOWER owns independent post-service entity that responds client’s requirements directly, which can increase the negotiating efficiency and effectively satisfy their needs. Both the post-sales and business teams make dual responses to the arrangement of machine installation and repairs. Over two decades of CHUMPOWER’s rich experiences serve you the best production planning consultancy. L-Series fully electric PET blow molding machine have simple structure yet extremely high production capability; these machines also can be online with the filling machines to associate the Integrated blowing, filling and capping solutions, well accepted by vendors.